Naturalizer Terah Sandal $59 $109 Free US shipping AND returns! Vince Camuto Sasseta Sandal $110 Free US shipping AND returns! 1901 Tilly Sandal $109 Free US shipping AND returns! 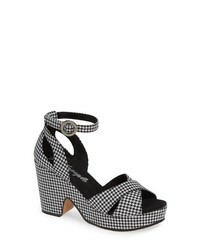 Botkier Sera Sandal $75 $137 Free US shipping AND returns! Vince Camuto Sasseta Sandal $44 $110 Free US shipping AND returns! Bill Blass Babette Platform Slingback Sandal $248 Free US shipping AND returns! Sophia Webster Soleil Laser Cut Leather Sandals $275 $550 Free US shipping AND returns! Free People Addison Platform Sandal $198 Free US shipping AND returns!